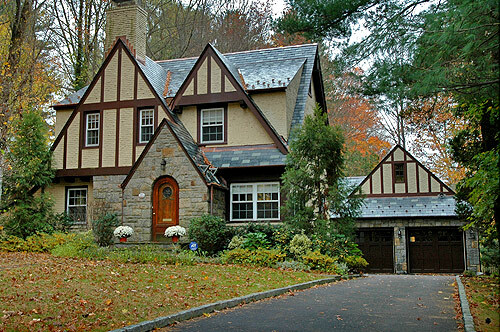 This 1930's Tudor had at least one previous addition but was missing critical comforts. Wonderful improvements added convenience. The scope of the work included: New Garage with Attic Storage; New Mudroom with Garage and Exterior entry; New Laundry Room; Stair Hall to Main Level of House.